"The 1994 Rioja Grandes Anadas Reserva Especial (made from a single Tempranillo vineyard planted 80-100 years ago) was aged for 40 months in 100% new French oak casks. Approximately 100 six-bottle cases were imported to the United States. This intellectually and hedonistically satisfying wine is one of the most compelling and prodigious Riojas I have ever tasted. It possesses amazing richness, and a fabulous smoky, black fruit-scented nose that soars from the glass. Full-bodied, with extraordinary richness, layers of fruit, beautifully integrated acidity, tannin, and wood, and a whoppingly long 45+ second finish, this wine must be tasted to be believed. It is also one of the most expensive Riojas I have ever tasted, but this wine has a 20-year upside potential. It is a tour de force in winemaking. 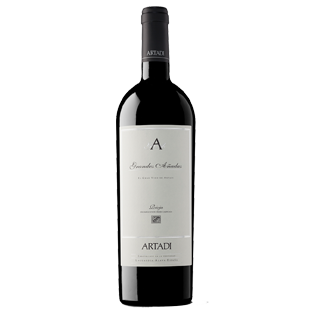 Kudos to Artadi! Anticipated maturity: 2000-2020."